A five-year-old was billed for failing to attend a friend’s birthday party – resulting in threats of legal action. Alex Nash, from Cornwall, was invited to the party just before Christmas. An invoice for £15.95 was sent by his schoolfriend’s mother Julie Lawrence, who said Alex’s non-attendance left her out of pocket and his parents had her details to tell her he was not going. Alex’s father Derek said he had been told he would be taken to the small claims court for refusing to pay. Alex’s parents, from Torpoint, had accepted an invitation to the party at a dry ski slope in Plymouth, Devon, just before Christmas. However, they realised their son was double-booked and due to spend time with his grandparents, which he did. It is all but impossible that Ms Lawrence will be able to recover the £15.95 party “no show fee”. Any claim would be on the basis that a contract had been created, which included a term that a “no show” fee would be charged. However, for there to be a contract, there needs to be an intention to create legal relations. A child’s party invitation would not create legal relations with either the child “guest” or its parents. If it is being argued that the contract is with the child, it is inconceivable that a five-year-old would be seen by a court as capable of creating legal relations and entering into a contract with a “no show” charge. It’s amusing to imagine what a children’s party invitation seeking to create a contract might say: “I, the ‘first party’, hereinafter referred to as the ‘birthday boy’, cordially invite you the ‘second party’, hereinafter referred to as ‘my best friend’, to the party of ‘the first party’. His parents said they had no contact information for Ms Lawrence at that time. They found the invoice in a brown envelope in his schoolbag last week. Mr Nash said: “It was a proper invoice with full official details and even her bank details on it. “I can understand that she’s upset about losing money. The money isn’t the issue, it’s the way she went about trying to get the money from me. 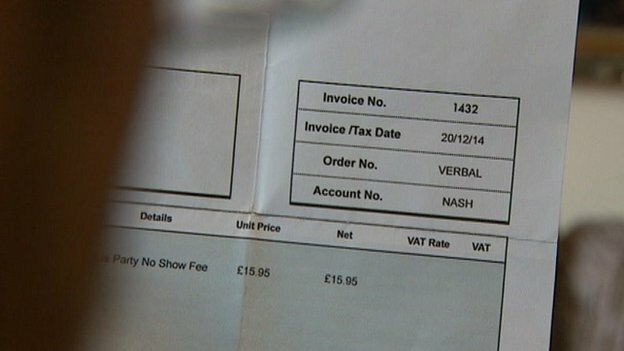 Mr Nash said he had been told he was being taken to the small claims court because he was refusing to pay. The unwritten rules of children’s parties?